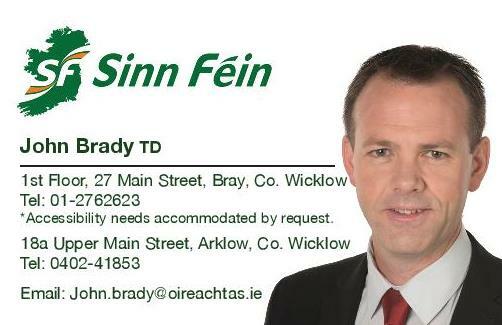 Sinn Fein Social Protection Spokesperson John Brady TD has tonight welcomed the Dáil's unanimous support for his Bill to abolish the Mandatory Retirement Age. Speaking from Leinster House this evening, Deputy Brady said; "I welcome the unanimous support of the Dáil to bring an end to what has been a long-standing practice of discrimination against people who are forced to retire against their will. "This Bill will address a multitude serious issues facing older people including the fact that many are made to retire at the age 65 and then forced onto a job-seekers payment for a year before they can receive their state pension. "It will also alleviate the unjust and disproportionate impact on people, particularly women, who may have taken time out of work to raise families or to care for a loved one and are now left in the vulnerable position where they cannot draw full pension entitlements because they have not built-up sufficient contributions. The abolition of the mandatory retirement age will allow those people to continue working in order to bridge that gap. "This Bill is fundamentally about giving the worker, and not the employer, the choice as to when they can retire. It is a progressive and significant development, which will be welcomed by many people and organisations who have been campaigning on this issue for a long time.